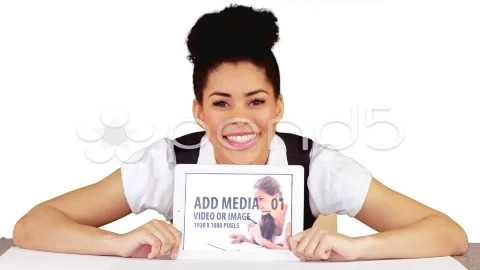 After Effects Version: CS4, CS5; File Size: 145mb; Requires Plugins: No; Resolution: 1920x1080. 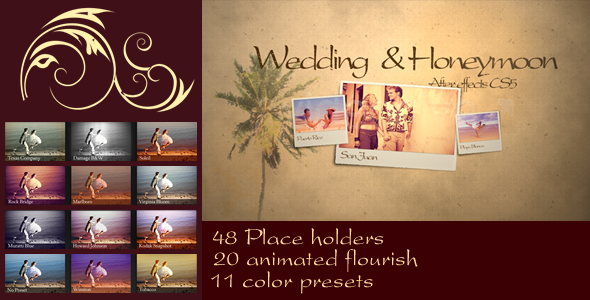 Wedding Flowers is an image video gallery with a total of 17 place holders, and 12 animated flower elements ready to use in other projects. (the flowers element are in a project a part so you can import in future projects). 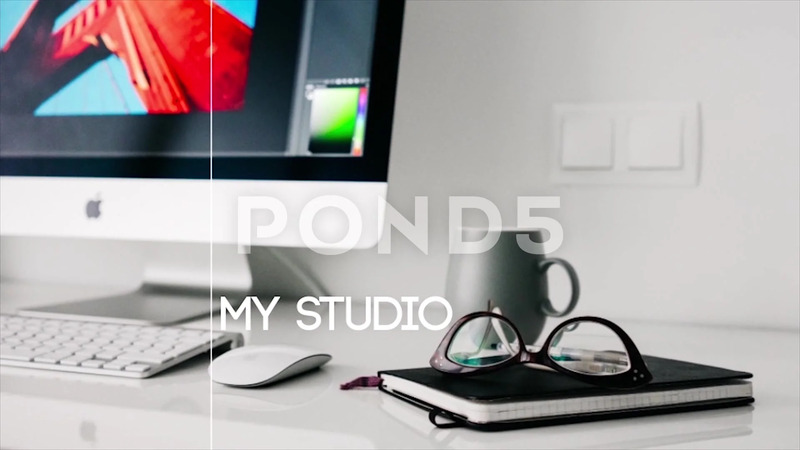 The Project fas been realized with customization in mind, in the main comp you can adjust value like BG color, picture frame color, opacity,size,light color, and more. 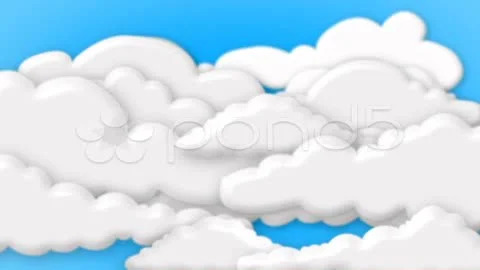 Custom particles are provide in the project ready to use by switching on/off layer and decide the shape of particle text transitions,and the overhaul particles. 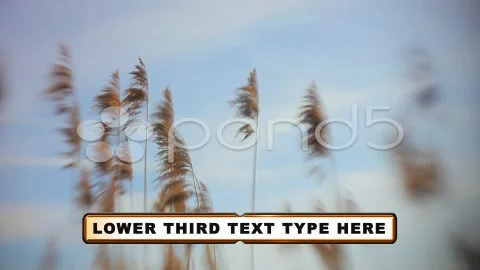 Frame for landscape or vertical aspect ratio of picture are provide if you want to insert different orientation pictures. 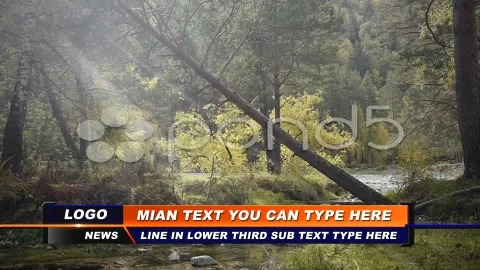 4 short tutorials explain how to change text, replace image, customize the scene and elements,and finally add more place holders. The script Expression Universalizer has been applied on this file, so you shouldn't receive any error due to expression when you open in a non english version of AE. The native format is 1080p, 29,97 FPS , Square pixels. 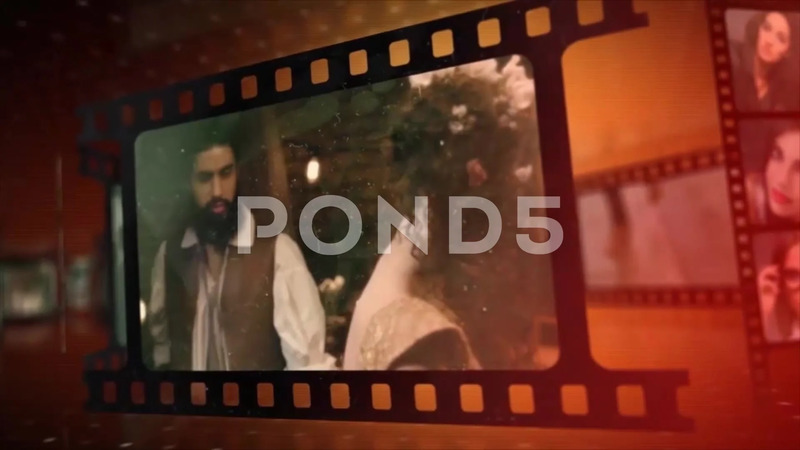 HD preview, and more features here . 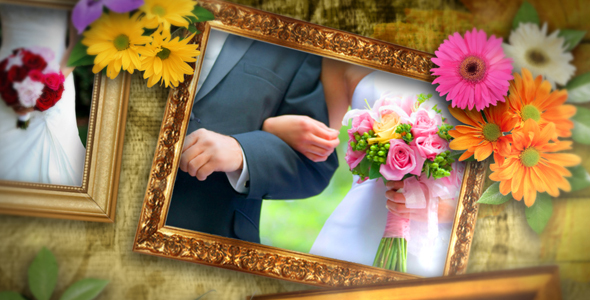 Keywords: animated, flourishes, flowers, gallery, neutral, particles, peaceful, photo, relax, rings, romantic, vector, wedding. 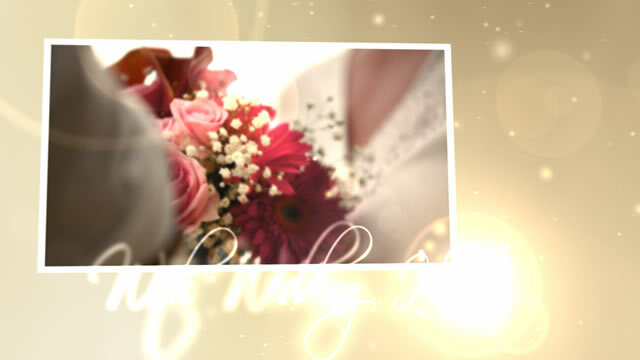 Design After Effects Project - VideoHive Wedding Flowers CS4 309125 style in Adobe After Effects. 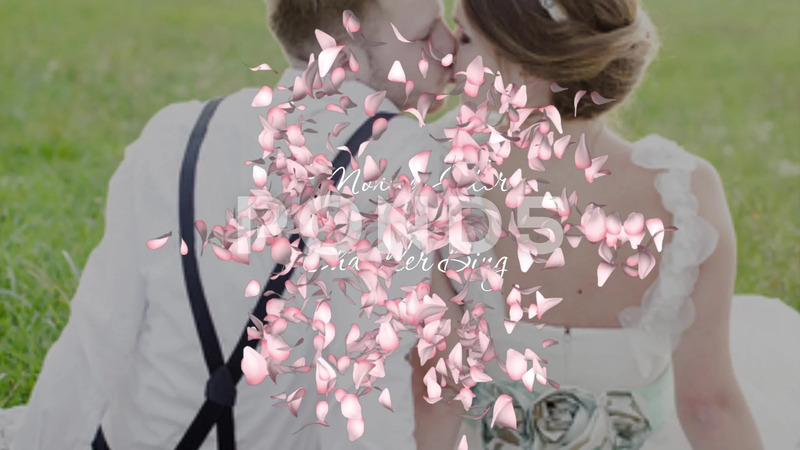 Full details of After Effects Project - VideoHive Wedding Flowers CS4 309125 for digital design and education. 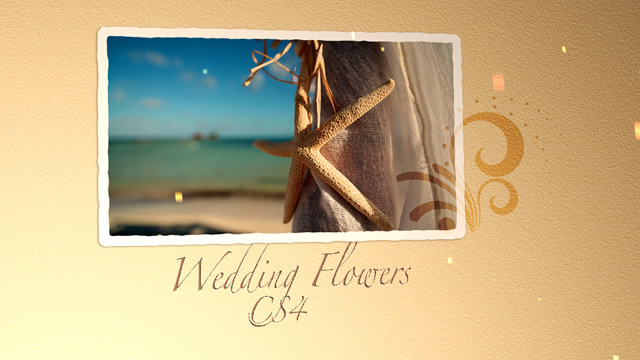 After Effects Project - VideoHive Wedding Flowers CS4 309125 information, music or audio name, or anything related.